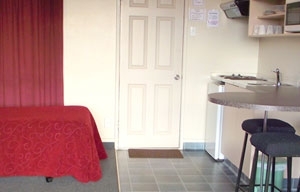 We are a well-established Te Kuiti motel/hotel situated in the heart of the King Country in the central North Island with motel/hotel accommodation to suit most travellers. 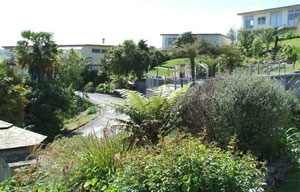 Surrounded with beautiful trees and nestled on the hillside with magnificent views of Te Kuiti, the shearing capital of the world. Waitomo tourism adventures and activities are only a 15min drive away, including the famous Waitomo Glowworm Caves, black-water rafting, abseiling, the Lost World, skydiving, horse trekking and magnificent caves. Great central stopover. We have comfortable and spacious refurbished rooms with panoramic views of the picturesque countryside. 12 studio units with king-size beds, 7 x 1-bedroom units with self-catering facilities (4 suitable for families), a 3-bedroom holiday home with full amenities (suitable for families). 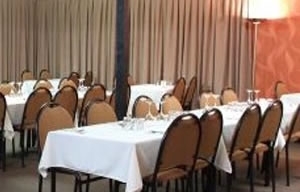 Our restaurant is one of the most well-established in the area, catering for in-house guests as well as local clientele. Most nights are a la carte dining with breakfast available in the morning. We also cater for group bookings and special occasions, buffets, set menus and light finger food menus available. Popular wedding venue. Sorry we are closed on public holidays and Sundays however we are open some Sundays in summer.